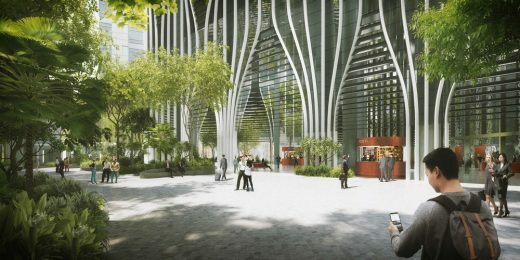 Singapore, 12 April 2018 – Joint venture partners CapitaLand Limited (CapitaLand), CapitaLand Commercial Trust (CCT) and Mitsubishi Estate Co., Ltd (MEC) unveiled today the name of their upcoming 51-storey skyscraper at 88 Market Street – CapitaSpring. As a world-class integrated development where the possibilities for future of work will be expanded amidst a vibrant work-live-play vertical community, CapitaSpring has secured its first anchor office tenant; ahead of its scheduled completion in the first half of 2021. J.P. Morgan, the global banking and financial services provider, will take up close to a quarter of the 635,000 square feet (sq ft) of the net lettable area at CapitaSpring. This translates to approximately 155,000 sq ft of premium office space from levels 24 to 30. The name “CapitaSpring” is inspired by the Green Oasis, a four-storey high botanical promenade between the Grade A office floors and the modern serviced residences. 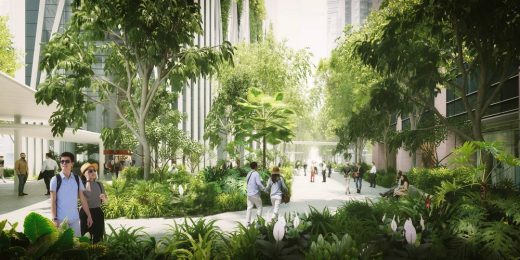 Embodying a connection with nature for urban dwellers in the heart of Singapore’s downtown core, the Green Oasis will become the central social space for placemaking and community activities as well as a city-defining architectural feature at a breathtaking 100 metres above ground. Celebrating the harmony of tech-enabled modernity and flourishing tropicality, CapitaSpring also encompasses the lineage of CapitaLand and our credo “Building People. Building Communities.” in this people-centric integrated development. 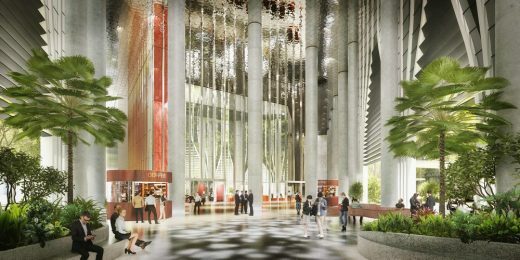 CapitaSpring which broke ground for construction in February 2018, will be one of the tallest and greenest buildings in Raffles Place, with integrated commercial and community spaces and a City Room at the ground floor. 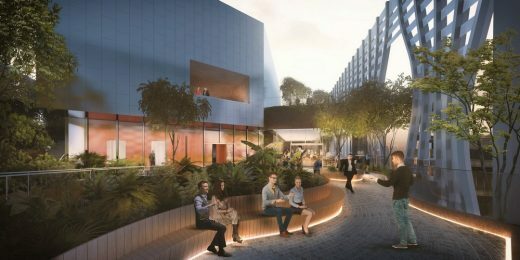 Community events such as fitness sessions and lunchtime performances can be held at the City Room, which will blend into a 12,500-sq-ft public park. 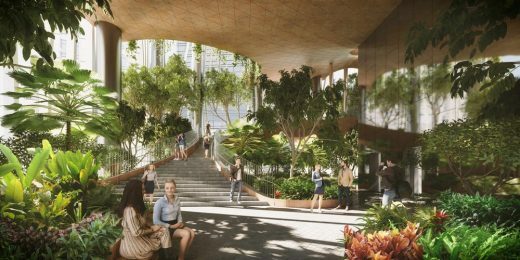 Occupants can also look forward to a café, treetop cocoons, sky hammocks, meeting and activity spaces connected by a spiral stairway at the Green Oasis. 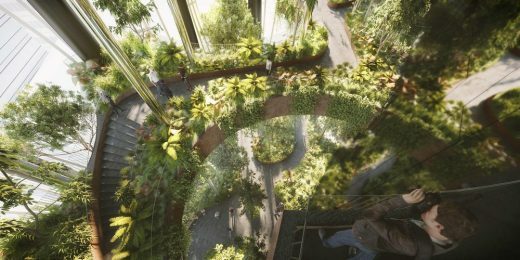 CapitaSpring will also be home to Singapore’s highest urban farm and a fine-dining restaurant on the rooftop at around 280-metres-high.